What a great card, Harriet! I love that color, and the pearls, and the butterfly, and of course - the Swiss Dots! 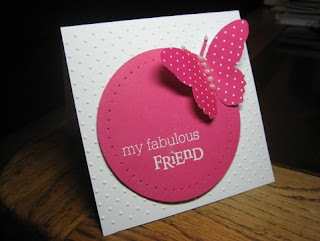 This is a gorgeous card - the pink looks great against the white and I love all the dots!